‘If it looks like a duck, and quacks like a duck, we have at least to consider the possibility that we have a small aquatic bird of the family anatidae on our hands.’ Douglas Adams. | Sally says . . . eat, sleep, work, read, play, draw, bark . . .
← ‘Avoid fruit and nuts. You are what you eat.’ Jim Davis. Cute duckling and great quote. Next you need to sketch a plover chick ! Plover quotes may be more difficult to come by. So happy for your rain! 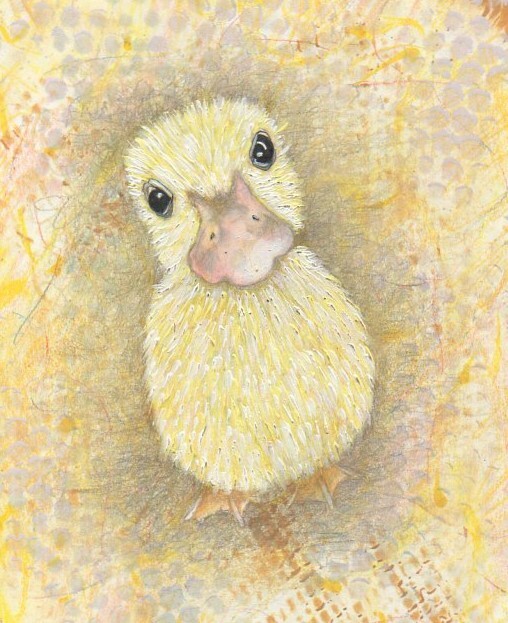 And the adorable duckling. Thank you. The rain has been great – and thankfully it has also fallen in places where it was needed even more than it was here. Ducks everywhere are happily paddling about today . . .